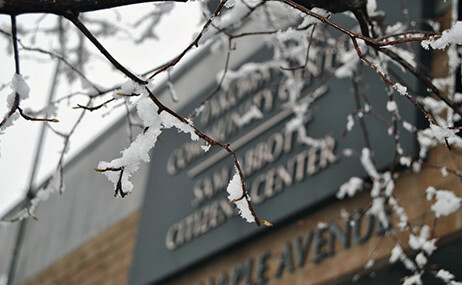 The City of Takoma Park offers passport execution service at the Takoma Park Community Center – Sam Abbott Citizens’ Center on the second floor. Please Note: The City of Takoma Park does not process the DS-82 Renewal Application, which is a Mail-In Only Application. Passport services are performed on a first come, first served basis and do not require an appointment. When you arrive for passport execution services take a number* and wait in the immediate seating area. *The Passport Services Agent reserves the right to suspend the distribution of numbers earlier than advertised (if needed), in order to process the high volume of patrons already waiting. Passport service hours are subject to change without notice. Whenever possible, office closures will be announced on Facebook, Twitter and this website. Takoma Park staff encourage calling the City’s main phone number at 301-891-7100 and checking if the office is open before departing for the Community Center for passport services. To expedite the passport execution process, have the following items ready/complete when you arrive at the Community Center for passport execution services. Failure to provide a completed application and the necessary documents listed below will result in significant processing delays and/or denial of your application. Regular passport applications take at least six weeks to process. and expedited passport applications take at least three weeks. The City of Takoma Park has no control over passport processing times. DS-11 form. This form must be completed and submitted for your application. The form is available at the Community Center or at travel.state.gov. Complete your DS-11 in black ink. Do not sign your forms before you meet with the Passport Agent. Original evidence of United States citizenship. Photocopy must be on plain white 8 1/2″ x 11″ standard paper stock showing the front and back of your ID. Photocopy must contain images on only one-side of each paper submitted. One 2″ x 2″ color passport photo. Takoma Park does not take passport photos. You must provide your own. Passport fees and execution fees must be paid separately. Fees are detailed at the bottom of this page. Fees paid to the U.S. Department of State are payable by check or money order only. Execution fees paid to the City of Takoma Park can be paid by cash, credit card or money order. There is a convenience fee when paying with a credit card. Passport services are offered 9 AM – 1 PM Monday through Thursday at the Takoma Park Community Center – Sam Abbott Citizens’ Center. Children under the age of 16 must appear in person with parents. For persons ages 16 and 17, only one parent must appear with applicant. Passports issued to individuals under the age of 16 cannot be renewed. All original documents are sent to the U.S. Department of State for review with your application. You will get your original documents in the mail a few days after you receive your passport. The City of Takoma Park does not process the DS-82 Renewal Application, which is a Mail-In Only Application. Passport Service will close at 1:00 p.m. with the person who is being served at that time. The Passport Services Agent reserves the right to suspend the distribution of numbers earlier than advertised (if needed), in order to process the high volume of patrons already waiting. All forms must be written clearly with no mark outs, scratch outs, etc. 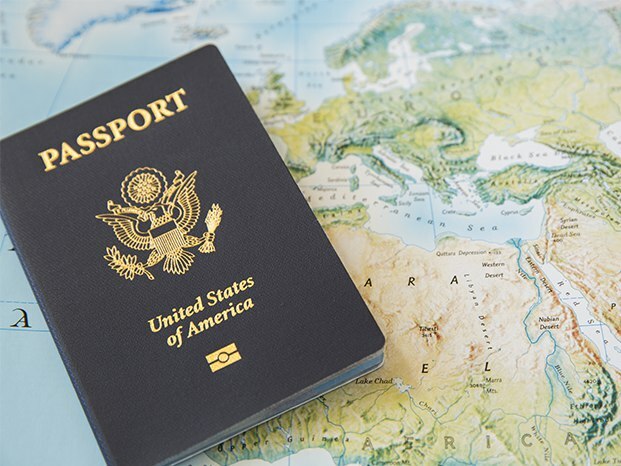 In the event that the City of Takoma Park’s passport services are unavailable check the US Department of State’s “Where to Apply for a Passport Nationwide” page for an alternate passport facility. REMINDER: Passport fees and execution fees must be paid separately. Please note the new prices effective Monday, April 2, 2018. $110.00 passport fee. Payable to U.S. Department of State. Fees paid to the U.S. Department of State are payable by check or money order only. $35.00 execution fee. Payable to the City of Takoma Park by cash, credit card*, money order or cashiers check. $80.00 passport fee. Payable to U.S. Department of State. Fees paid to the U.S. Department of State are payable by check or money order only. *NOTE: A convenience fee of 2.9% or $1.50, whichever is greater, will be charged for credit card payments of execution fees. The U.S. Department of State has developed a Passport Card as a more portable and less expensive alternative to the traditional passport book. The New Passport Card can only be used for land and sea travel. The City of Takoma Park will accept applications for the card. $30.00 passport fee. Payable to U.S. Department of State. Fees paid to the U.S. Department of State are payable by check or money order only. $15.00 passport fee. Payable to U.S. Department of State. Fees paid to the U.S. Department of State are payable by check or money order only. $60.00 per application. Payable to the U.S. Department of State. $150.00 file search fee. Payable to the U.S. Department of State. Takoma Park staff encourage calling the City's main phone number and checking if the office is open before departing for the Community Center for passport services.